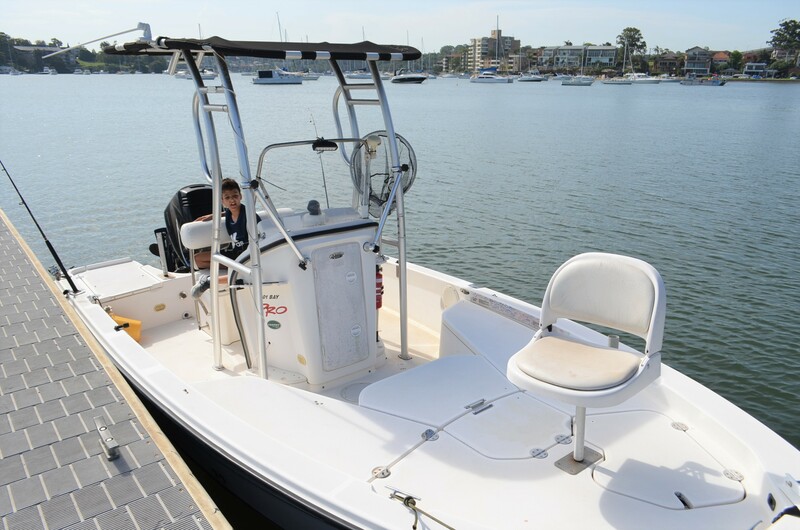 The Bay Pro has raised for and aft platforms with an integrated fishing seat on the bow (even an umbrella for those very sunny days ! 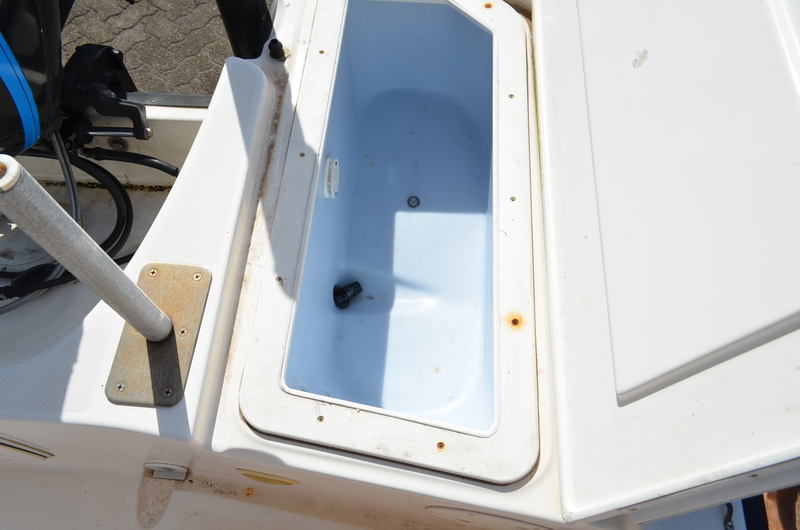 ), and boasts a layout that makes fish handling anywhere aboard, simple and easy – two live fish wells, a moulded rod locker and an insulated fish box for your catch add to the impressive standard list of inclusions. 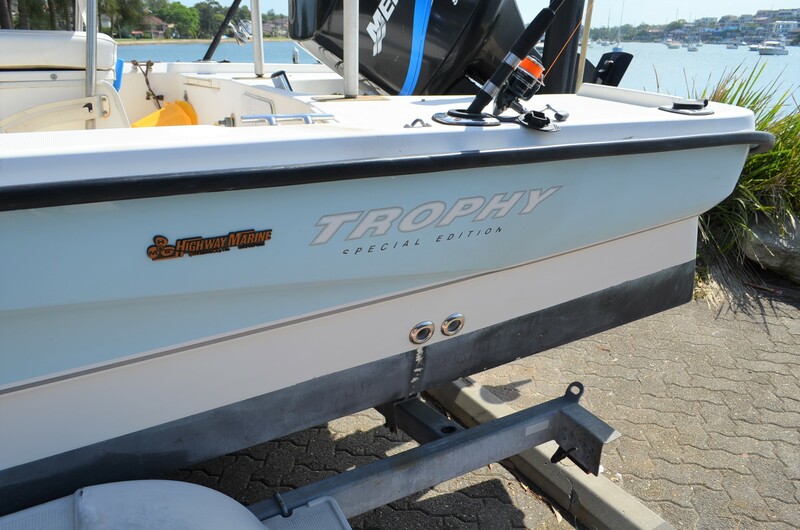 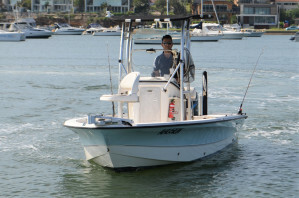 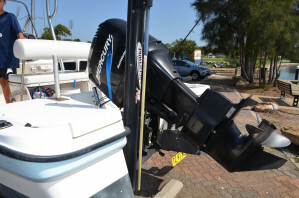 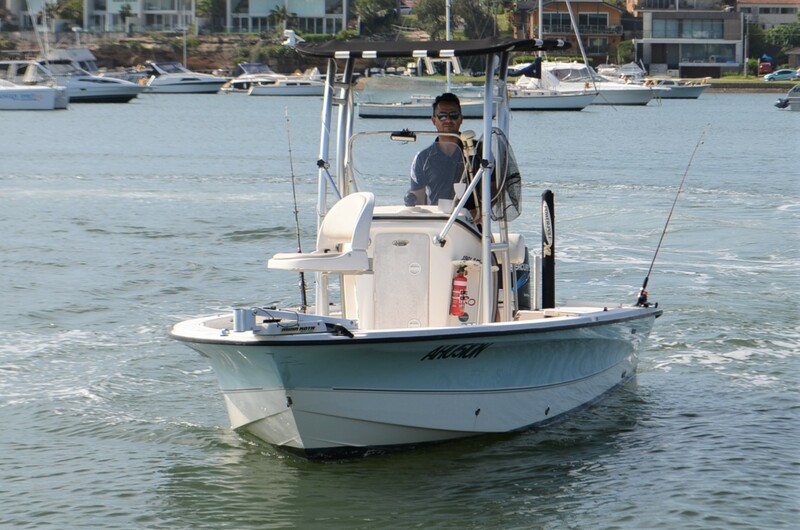 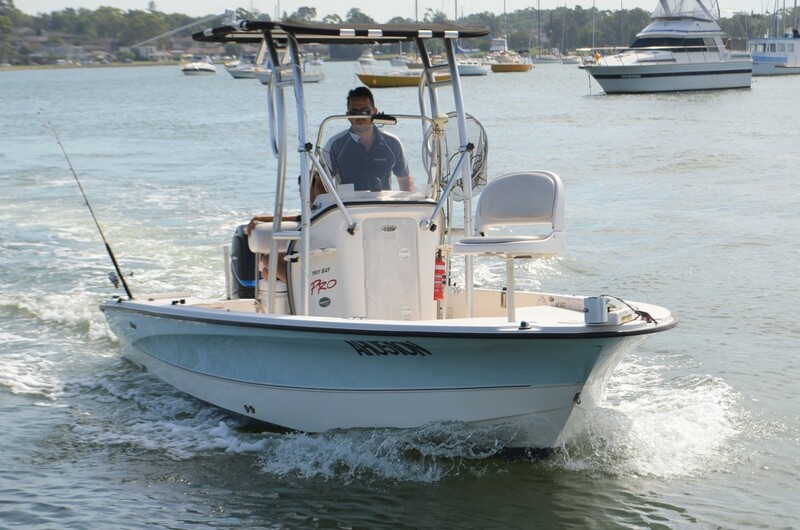 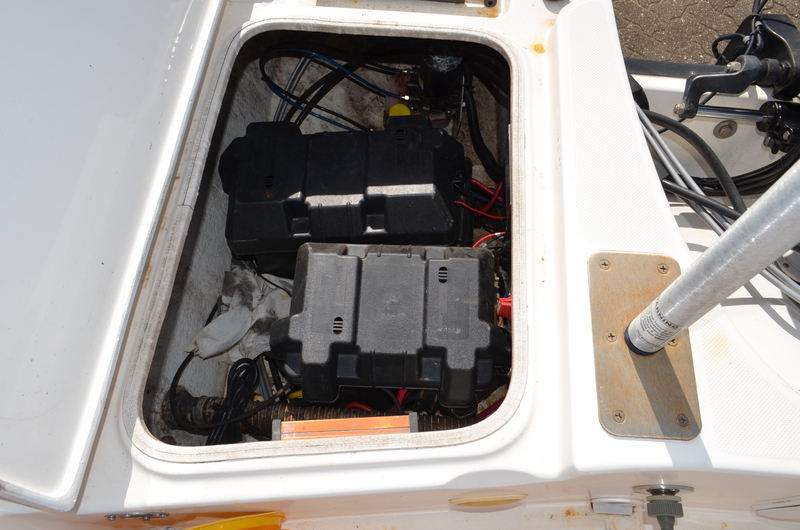 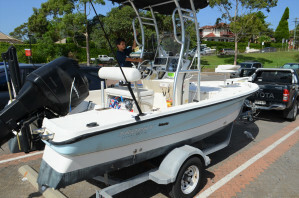 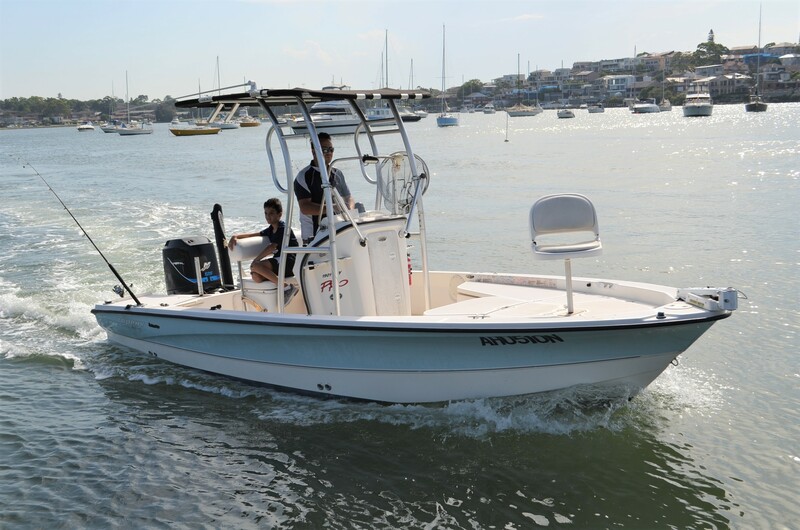 A Mercury 125hp Saltwater Series 2 stroke outboard with less than 200 hours ensures quick trips to wherever they are biting, and then at the end of the day, up onto her Karavan trailer. 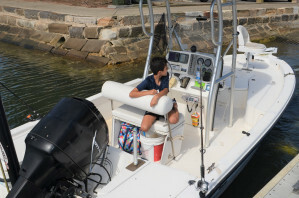 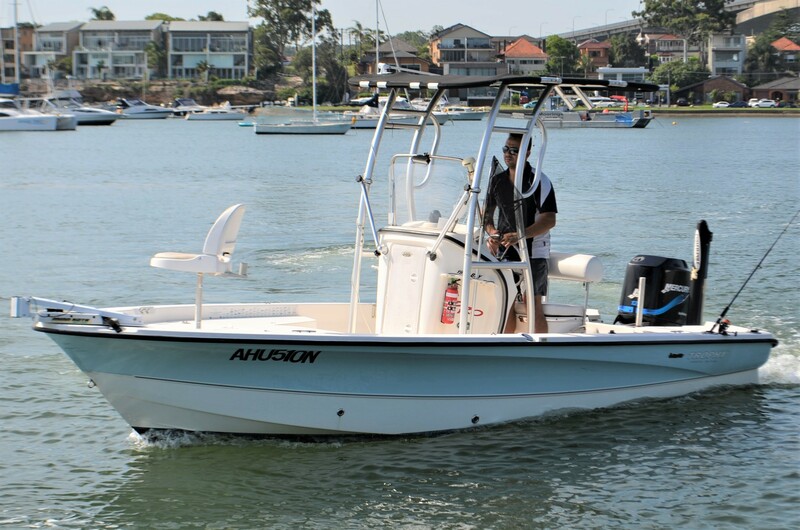 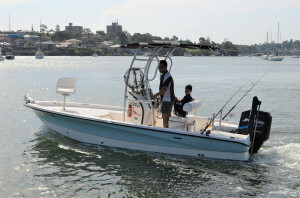 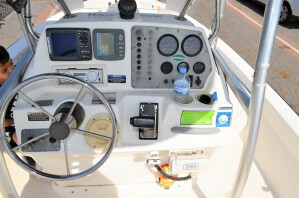 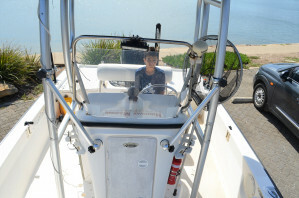 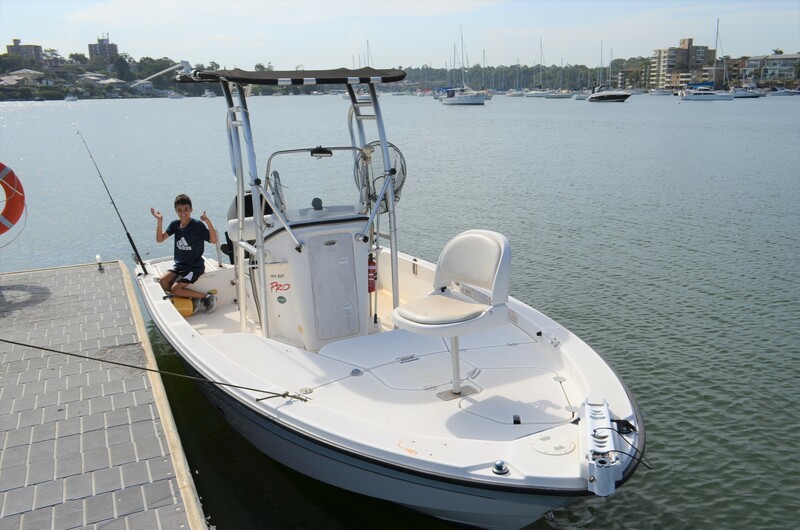 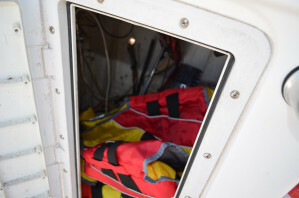 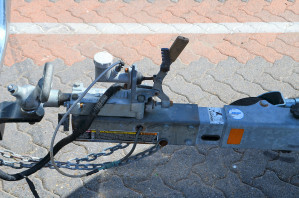 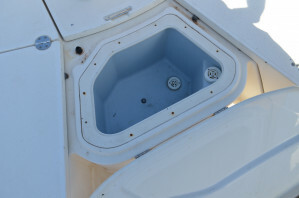 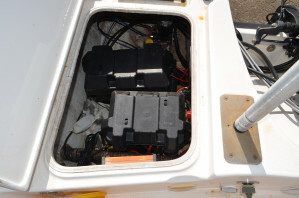 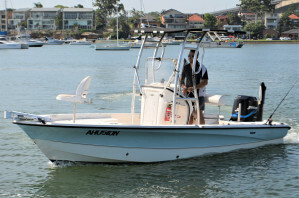 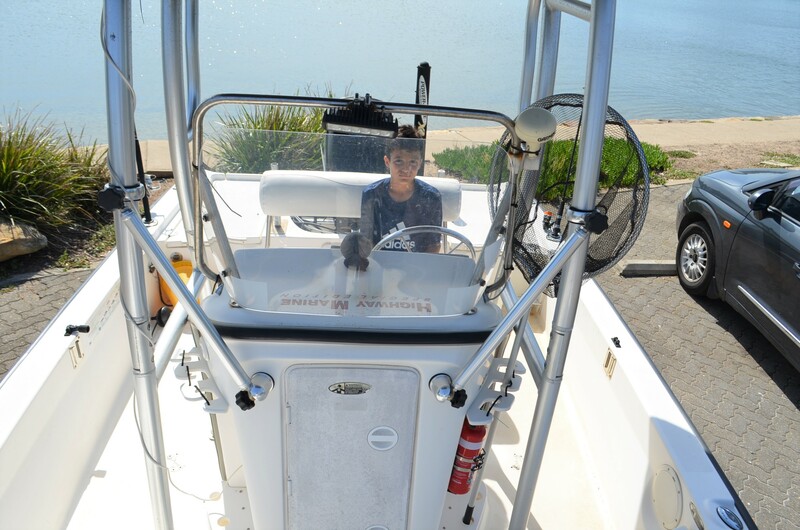 The custom T top assists the skippers comfort, with the non skid deck surfaces, self bailing cockpit and positive foam flotation all adding up to a rig that is safe, easy to handle and very comfortable. 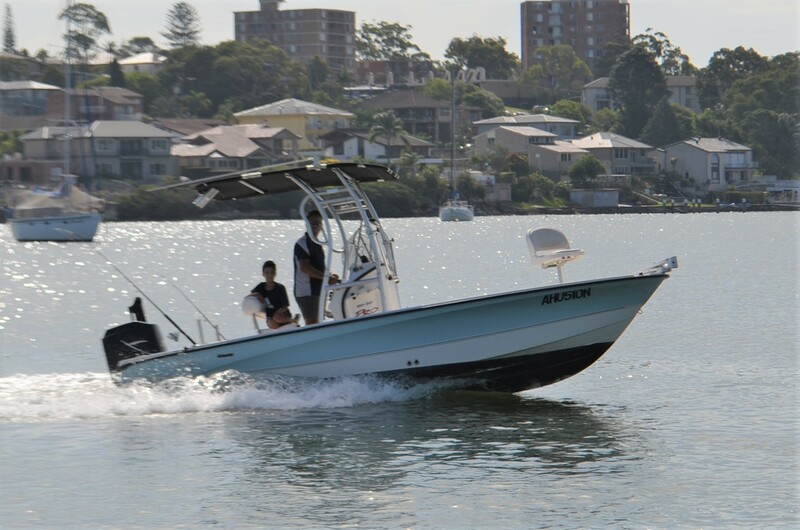 Ring the best boat brokers in Sydney to arrange a private inspection of this fine craft at a convenient time. 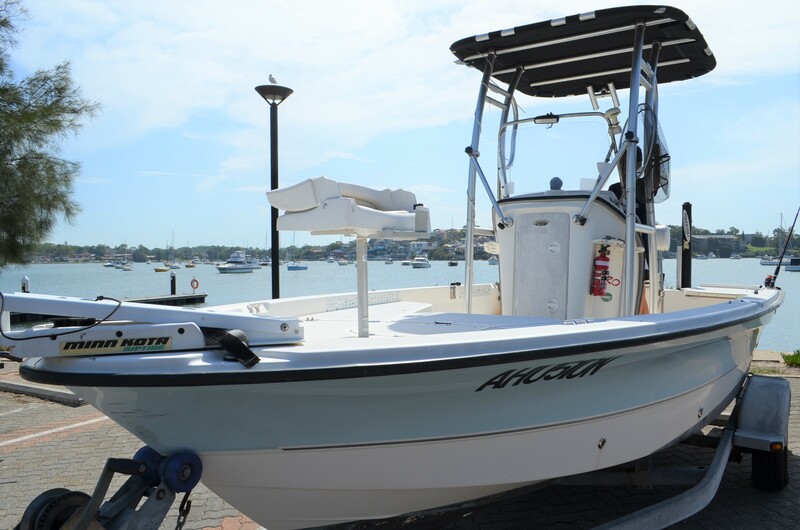 We are available 7 days by appointment. 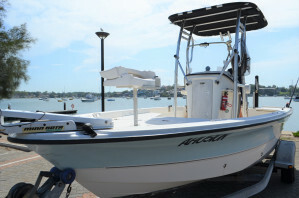 Price Base : $ 29,900 FISHERS BEST !